Entytle Insyghts is specifically designed not just to manage, but to help you recapture lost wallet-share, reduce churn, and drive upsell within your installed base. 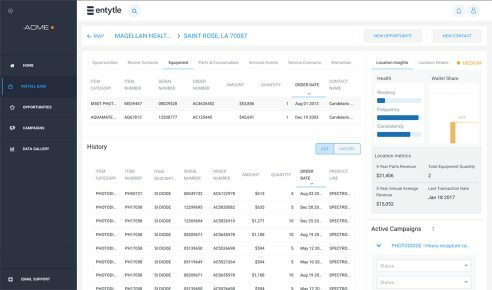 Entytle’s sophisticated data science and machine learning algorithms run models on top of the OEM’s aggregated and cleansed data from ERP, CRM and other systems. 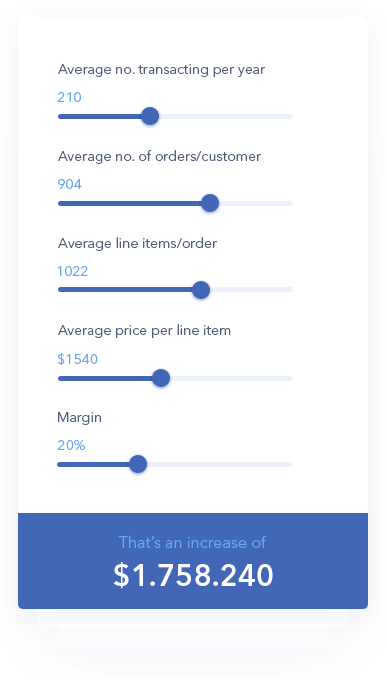 Entytle analyzes dozens of parameters that drive individual customer and cohort behavior, and extracts patterns to predict customer needs down to a specific location. Entytle Insyghts is designed to be integrated into your CRM. Your users won’t have to deal with “yet another system”. With single-sign-on, your team can simply tab over to Entytle: no new origins and passwords to manage. Entytle provides you with a complete customer engagement platform for the aftermarket. 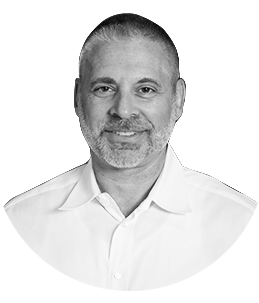 Targeting sales, marketing and service users, Entytle enables manufacturers to drive customer loyalty, wallet share and recurring revenue within the install base. Entytle Insyghts is a modern cloud-based architecture built with industry- standard technologies and services, ensuring enterprise-grade security and data protection for our customers. Entytle is SOC 2 Type 2 compliant. We’re on pace right now of $1 million in incremental revenue from the leads that are generated from Entytle Insyghts. The data we retrieve from the platform enables us to go to market with a highly customized message and service offering that are directly applicable to a target group. 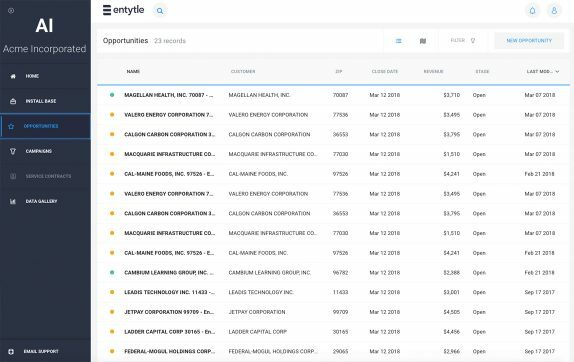 While other vendors offer predictive solutions for upselling, Entytle is often unopposed when selling to industrial equipment manufacturers.